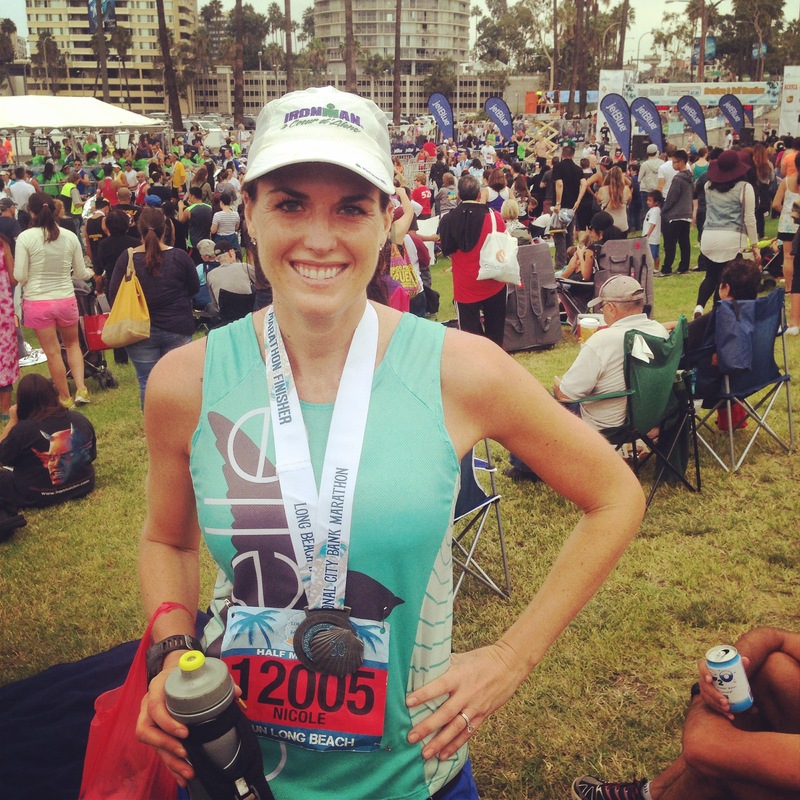 The Long Beach Half Marathon confirmed one thing for me – if you don’t convince yourself you will PR, you won’t PR. Going into this race, I had low expectations. I had just come off a 50 mile training week including a hot and hilly 18 mile run and the weather forecast was expected to be in the 70s and sunny. However, a part of me hoped/expected to just magically pull out a PR and sub 1:40 and have an amazing confidence boosting race despite aforementioned tired legs and hot day. Well, that magical PR didn’t happen. And I’m sure the hot day and the tired legs had something to do with it, but I also think that I just didn’t COMMIT to the race. I didn’t really make a race plan, write a blog about the race, or really even think about what I’d do. At one point I thought I’d go out with the 1:40 pace group and try to hold on, another time I thought I’d do the same system I worked with at RnR SD (run by feel, not pace, don’t rely on the watch), and then I kind of just turned my watch on and run. The night before as I was lying in bed trying to fall asleep, I told myself that I should go for the PR and that I could do it, but when it came down to it I didn’t really commit. That being said, overall I am pretty happy with my performance at Long Beach. I don’t think I left everything I had out on the race course, but I executed a smart race with a negative split and I finished strong. It was a warm day (but thankfully NOT sunny in the morning!) and my legs were tired, and I ran a pace 22 seconds faster than my Boston qualifying pace. My breathing was always under control (until the very end) and I could feel my underlying endurance. I almost felt like the pace I felt for most of the race I could have maintained for much longer… which probably means I didn’t quite run hard enough! But mentally, I don’t think my mind wanted to go into the zone of suffering it needed to in order to pull out the PR today. New Friends from Oiselle Flock! 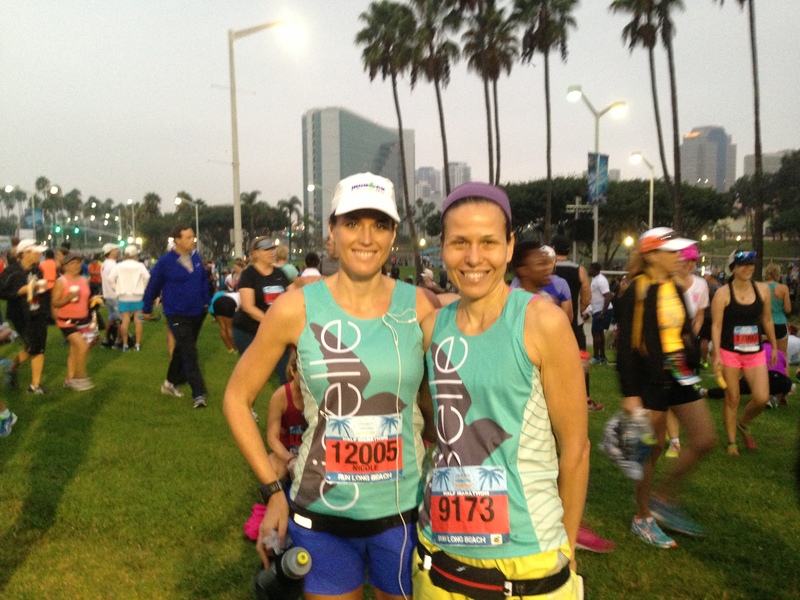 I arrived early to the race and got the chance to meet up with Oiselle flock member Wendy. I did a 1 mile warm-up and some stretching and hopped in the corral. The first mile was really crowded and it was hard to go move around for the first 1/2 mile or so. I just kept with the crowd and didn’t waste any energy passing anyone. I had ended up deciding to use my Garmin. I wanted to test myself because I am starting to think I do want to use it for CIM (was thinking about using it just for overall time). I also wanted to negative split like at RnR so I started out easy and focused on being able to speak in sentences (which again, I would sometimes talk to myself to make sure I could). My first two miles were both around 7:50 which was about 12 sec/mile under my 1:40 goal pace of 7:38. At RnR SD, I had a major negative split (partially to do with the first portion being uphill and the last few miles having a lot of downhill) so I didn’t worry too much when the 1:40 pacer took off ahead. When the 1:45 pacer approached around mile 3 I did get a little worried, even though at RnR SD I ran the first 4-5 miles with the 1:45 pacer right around me. This time I didn’t have the big declines at the end to help so I wasn’t so sure that I’d be able to make up that much time. I kept telling myself that I was still warming up and that I’d get my 2nd wind just like at RnR and at the SD Holiday Half and that kept me positive. The first few miles of the course are pretty lonely without crowd support, but there a lot of turns which kept my mind working since I was constantly trying to find the best tangent to run! Miles 3-5 were all between 7:56-7:58 and I felt like my legs were a bit heavy. I didn’t feel like I was redlining or working too hard, but I definitely didn’t feel light. Around Mile 5 I knew I had to pick up the pace if I was going to even get under 1:45 so I did. I brought back the memory of the really tough 10 mile pace run I did a month or so ago and reminded myself that I could push it for the next 8 miles just like I did then. Once we looped back toward the start there was a lot more crowd support and I stated using the trick my friend Brooke taught me where I’d raise my arms up and cheer and interact with the crowd in order to get more energy. It definitely helped and I got a bit of a boost and miles 6-7 were both in the 7:40s. Also around this time I ran by a guy with a sign that said “touch here for power” (just like Asia and Jeremy’s sign at RnR) and I ran over and touched it! Give me the power! I decided to stop looking at my watch so much at this point and moved it to the screen that showed overall time only. After 7 miles I only had 6 to go which is definitely a tempo workout and I told my brain to let myself suffer, knowing I could do it. However, I don’t think my brain was down for the challenge because the next mile was 7:59. We ran for what seemed like forever on a long sidewalk through the sand with a nice headwind. It tried to draft off of a guy in front of me but his clothes were completely soaked and his sweat kept flinging on me so I gave up. It was hot! Mile 10 was slower, 8 minute mile. On this stretch I also saw my cousins Jaclyn and David who are students at Cal State Long Beach who came out to cheer for me! Thanks Jaclyn for the awesome photo! Mile 11 is around the time we finally exited the boardwalk and got back onto the street and headed home. WE ran under a huge arch of balloons and Taylor Swift’s “Shake it Off” was playing and I start dancing to the music and the some of the volunteers danced back. It gave me more energy! This mile was one of my fastest – 7:45. I stated to feel better. I still wouldn’t say I got a 2nd wind (that never came sadly), but I knew the end was in sight and I didn’t feel completely out of gas. I started to pick up the pace and pass people. Somewhere in these miles I also told a girl that she had an awesome sign and I realized then that I probably wasn’t running hard enough if I could still talk in full sentences. My green-yellow-red race plan wasn’t being executed well – but my legs were protesting, not my lungs. I picked it up as much as I could and was getting a boost by passing people left and right. That’s one great thing about negative splitting! The final mile was 7:33 and the final 0.15 was a 6:14 average. I was proud of my negative split and my strong finish. A part of me wishes I had put it all on the line to see what I was made of out there but another part of me thinks it’s better to save that for the big race day on December 7th. Hopefully I can recover from this race faster and move on to my final 8 weeks of CIM training. One thing I’m definitely looking forward to in my training is seeing how I perform on my key long runs which will have a significant portion close to race pace. Those are the training runs that will give me the confidence boost I need going into the big race. 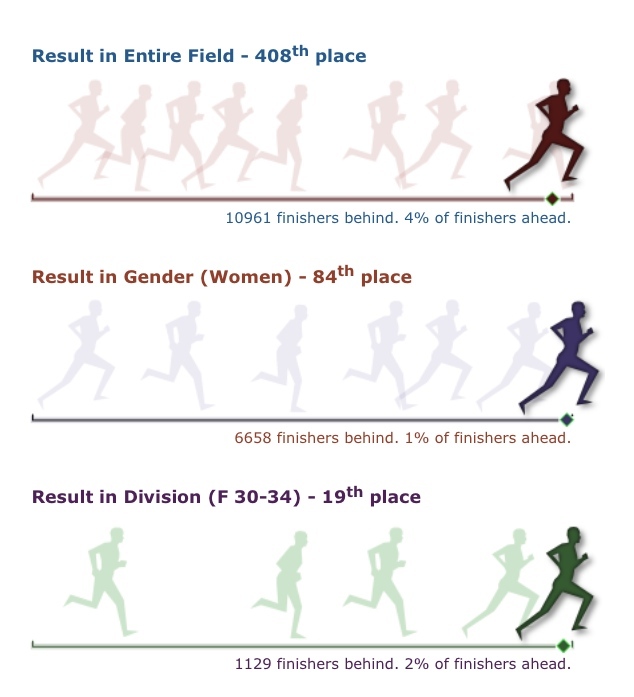 After looking at the race results online, I was super thrilled to discovered that I was 19th in my age group out of 1,129 and in the top 1% of women finishers! That is the best placement I’ve had at a half marathon! Even though I was slightly disappointed with my time I was much happier with it knowing how well I placed in the field. It’s all relative! 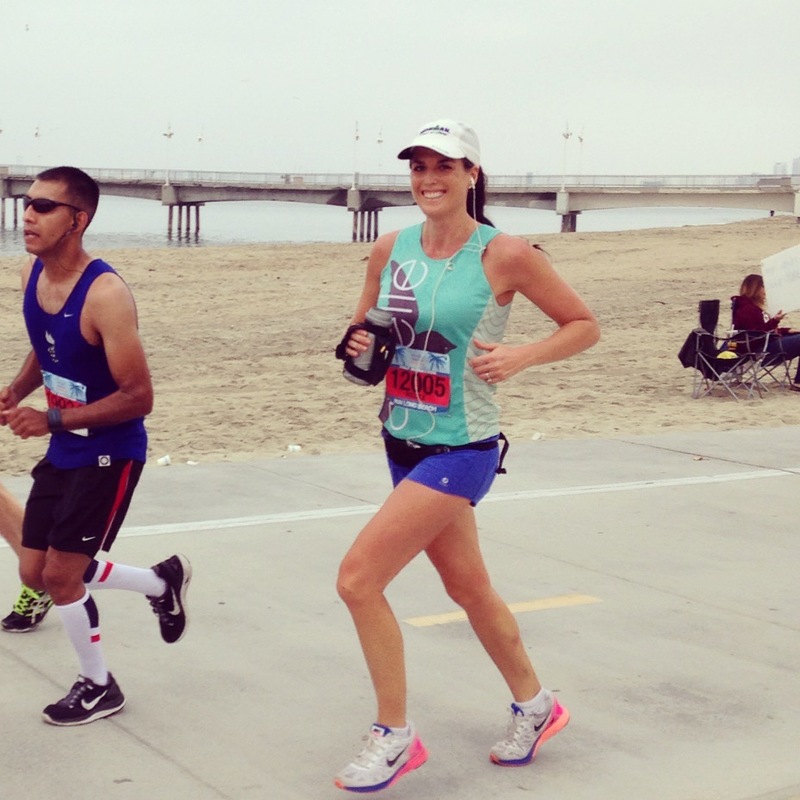 Long Beach Half Marathon is a great race and I highly recommend it for anyone looking for a well-organized, FLAT and coastal race. Thanks again to Florastor, one of the sponsors of the Long Beach Marathon, for the sponsored entry to the race as well! 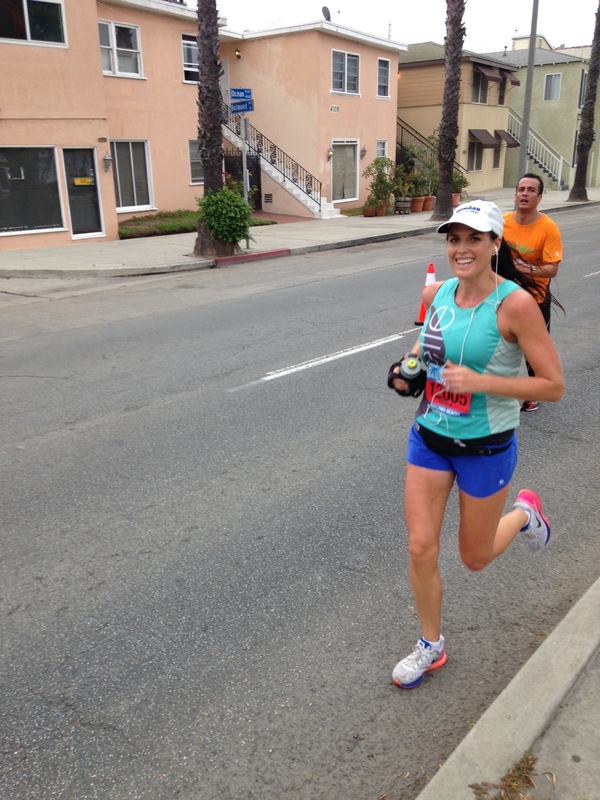 Have you ever NOT PRed at a half marathon while training for a marathon and still achieved your goal? Do you put a lot of weight on tune-up races in predicting your goal race outcome? Thanks! They are the Rogas! I love reading your training updates and race reports. It is human to have self doubt, mental blocks, etc. But you have the mental toughness to continue. That is inspiring! At the same time I am surprised that you have not realized that physical training is not enough. Have you looked at different mental training programs? Profesional athletes use sports psychologists, if your insurance covers that, I would suggest to find one and have couple sessions. If that is not an option, look for mental training exercises online. I just started reading the book “Mind Gym” which I think will definitely help! Hope you will share with us your takeaways from the book. 🙂 Bounce is an easy book to read, but great for showing how our behavior either can help or hinder our success. Haha! Thanks! I wish we lived close too!!! Congrats on an awesome race! I think that’s a great time, especially after such a big week. Plus, you’ll recover faster to put final efforts into marathon training! And like you said, it was faster than your BQ pace, and you still had energy in the bank- all great signs. Your photos look awesome! I feel like it’s hard to PR a half when training for a marathon, I’m always feeling more tired than usual. I get the part about not committing too, I’m terrible about that and I think it really matters. Not having the confidence going in can make the brain let go sooner, at least for me. You’ll be great at CIM! I love love love that course. Thanks for the encouragement! I am also glad to hear you love CIM! Great race, and definitely awesome with a negative split/strong finish. I think that tune up races are good but are not always indicators of the race to come. I think there is still solid training time to come between race and ‘goal race’ day and confidence can really build in that time as well. Awesome job!!! Congrats!! Don’t beat yourself up!! 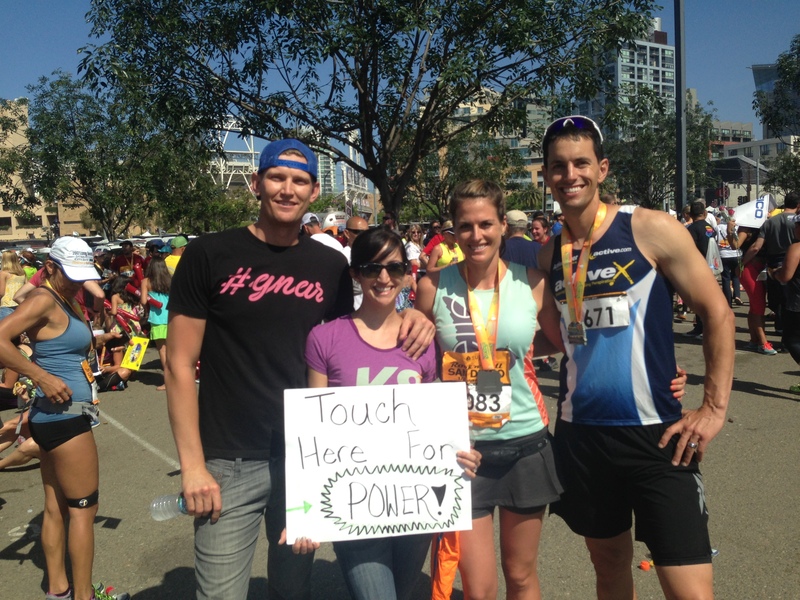 CIM is your big race! No need to run a race that you need a lot of recovery time 8 weeks out!! I think you ran smart and practiced the negative split!! 1:43 is still smokin fast! !